Patrick G. Beattie, 64, passed away early Monday morning following a brief battle with cancer, surrounded by his family. He was born on January 22, 1954 in Appleton to Maxwell G Beattie and Elaine (Hoffman) Beattie. Patrick proudly entered the Marine Corps at the age of 16 and 10 months. He was honorably discharged as a Sargent in the motorpool in March of 1975. 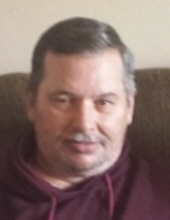 Pat ended his career as a respite care provider for Winnebago County becoming “Uncle Pat” to hundreds of special needs children throughout the Valley. Pat is survived by his daughter Sheana (Tyler) Laszinski, grandsons; Evan and Ryan, siblings; Jane (Jesse) Schiltz, Frank Beattie, Susan (Mark) Tillman and many nieces, nephews, other relatives and friends. In keeping with Pat’s wishes the family will hold a private service at a later time with military honors. In lieu of flowers a memorial fund is being established. Online condolences may be expressed at www.hovcremation.com. To plant a tree in memory of Patrick G. Beattie, please visit our Tribute Store. "Email Address" would like to share the life celebration of Patrick G. Beattie. Click on the "link" to go to share a favorite memory or leave a condolence message for the family.